Kinlet Hall, the home of Moffats, is a Grade 1 listed Georgian country manor house, which still retains the integrity and intimacy of a true family home. For our students this means a space they can call their own during their stay with us. Whether at work or play, those studying here enjoy the privacy of large private grounds. 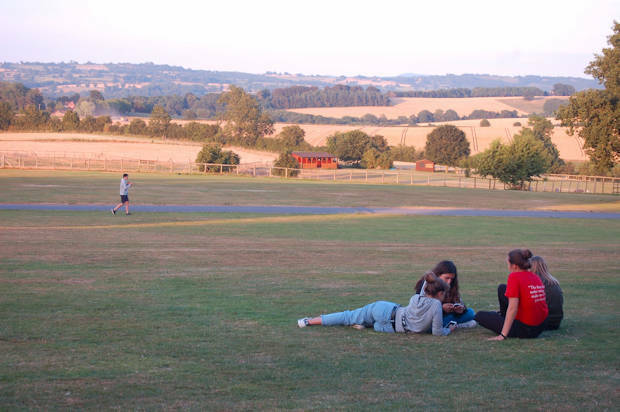 The school’s 100 acres include the lawns and playing pitches in everyday use, but also farmland, woodland, pony paddocks and a walled garden, all playing their part in a unique environment, which is remembered for life. Within the school’s wooded ‘Walk’ stands the 11th century Church of St John the Baptist. To our west lies the remote and beautiful expanse of West Shropshire and Mid Wales, which provides excellent outings and weekend activities. To the east runs the River Severn, on which lie the historic towns of Bewdley and Bridgnorth. Kidderminster is just 20 minutes’ drive away and international airports are within easy reach. Thank you for this stay. It was very interesting and I made a lot of good friends.